Ok, well not everyday. I’d get tired of eating salad everyday. But have you ever had to throw away a bag of lettuce because you were just too lazy/busy/tired to cut it for a salad before it went bad? Or have you bought bags of cut up lettuce because you were tired of having to cut it yourself? No? Maybe it’s just me then. When you buy the cut up lettuce you get so much less but you pay so much more. So I came up with a system. 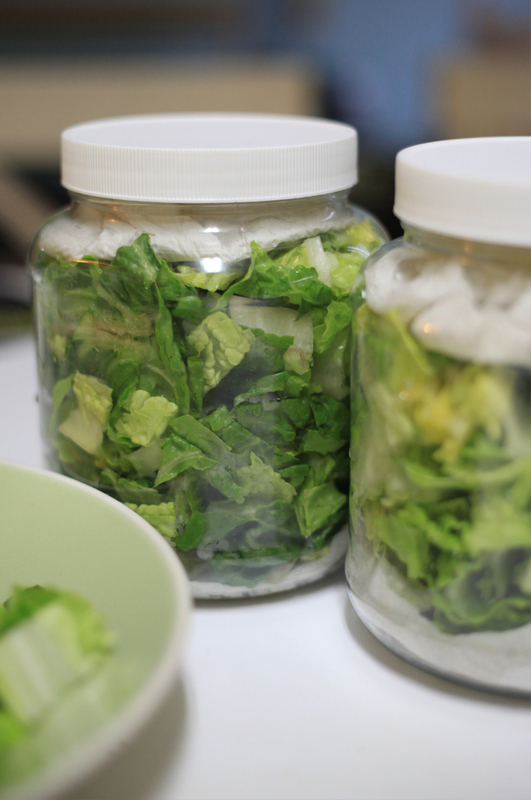 As soon as I get the whole lettuce (before I actually want to eat it) I take the bag chop up all 3 hearts of Romaine, wash it, and store it in jars. When I’m ready to eat it I have easy access to a healthy meal. I’ve been asked several times how someone with a busy life can eat healthy. Well this is it. Find systems to make life easier. Find shortcuts for everything. 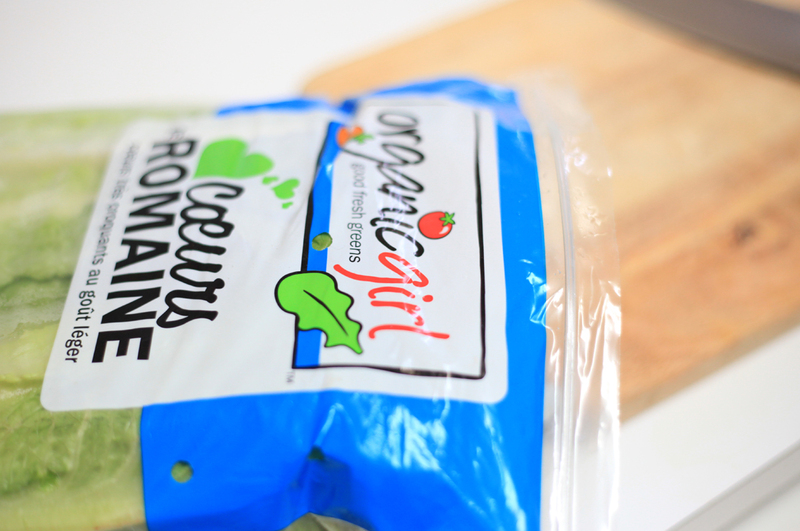 Chop up the lettuce and place in a spaghetti strainer. 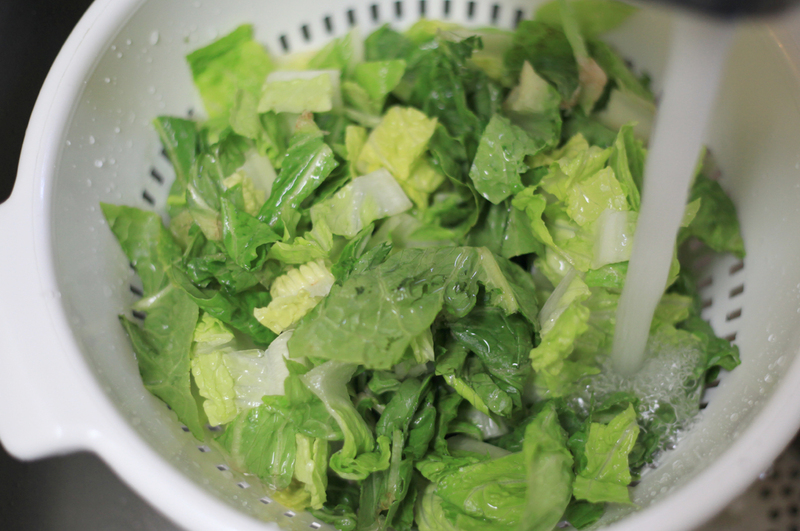 Wash lettuce under running water and let dry. 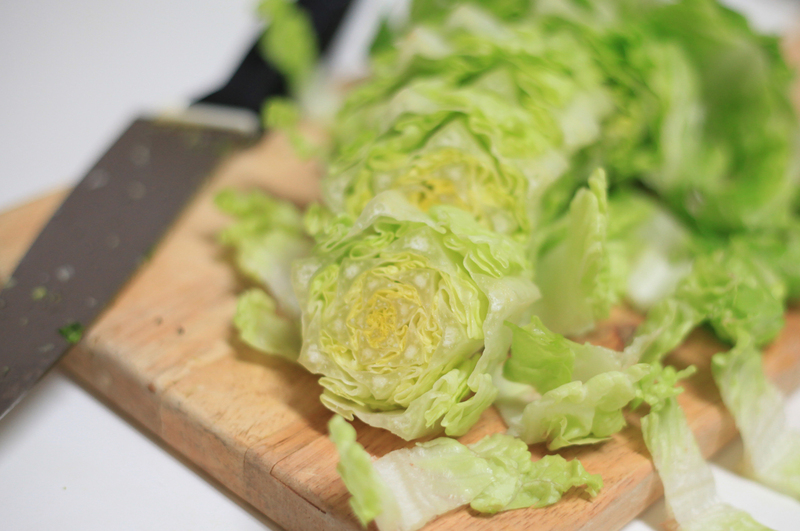 You can let the lettuce dry for a few hours. Cover it with a paper towel and leave it alone. It’s best to let it dry as much as possible so that it doesn’t wilt in the fridge. 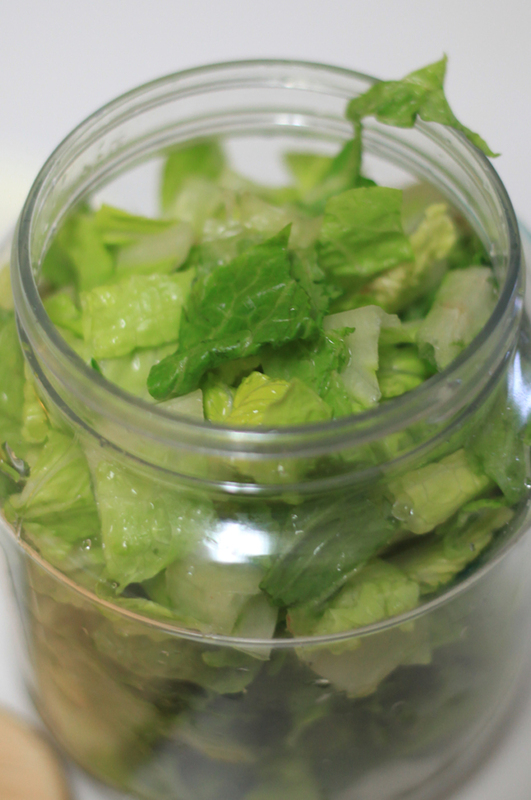 If you don’t have much time to let it dry, add a paper towel to the bottom of a large jar to absorb the water. Remove any brown leaves. They will get worse if you store them. Cover top with a paper towel to absorb more water. And store it in fridge. It’s just like the bagged chopped lettuce but you’ll have much more of it for the price. The salad should last a few days depending on how fresh they were to begin with. 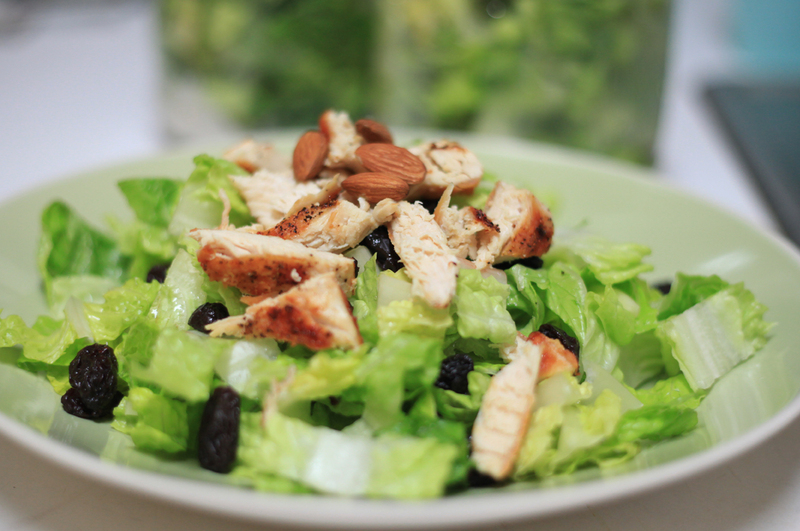 Top it with your favorite toppings and you’ll have a quick way to eat salad daily.